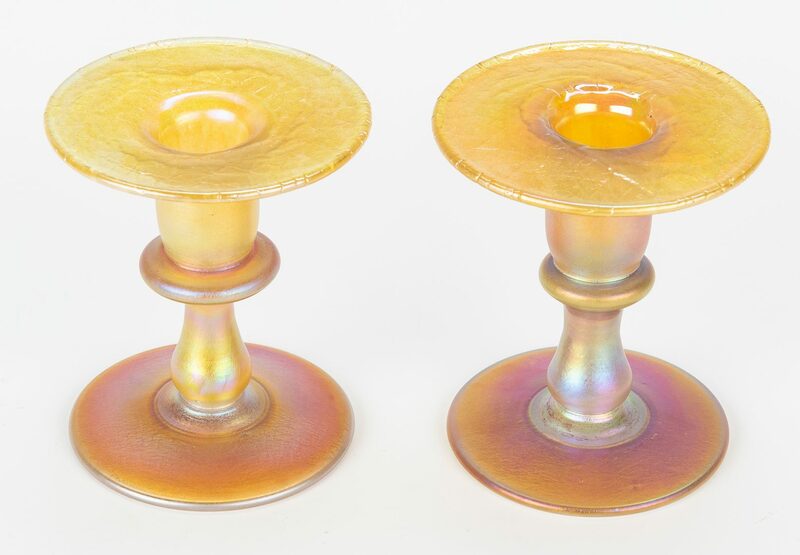 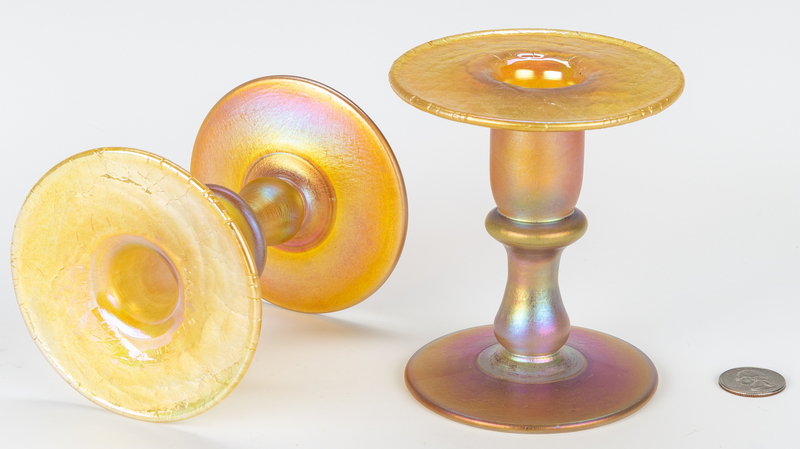 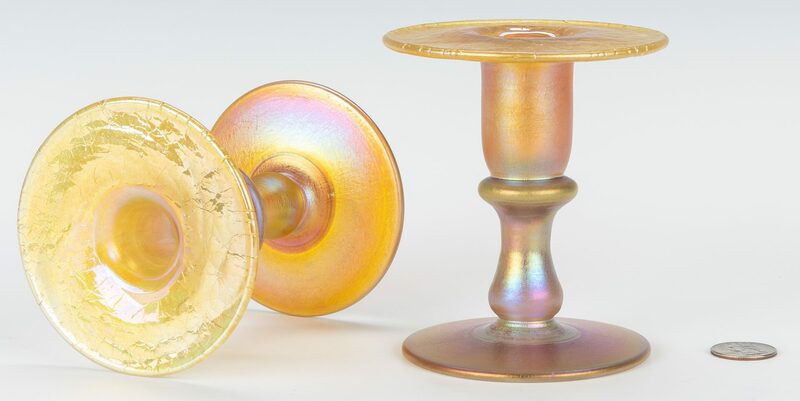 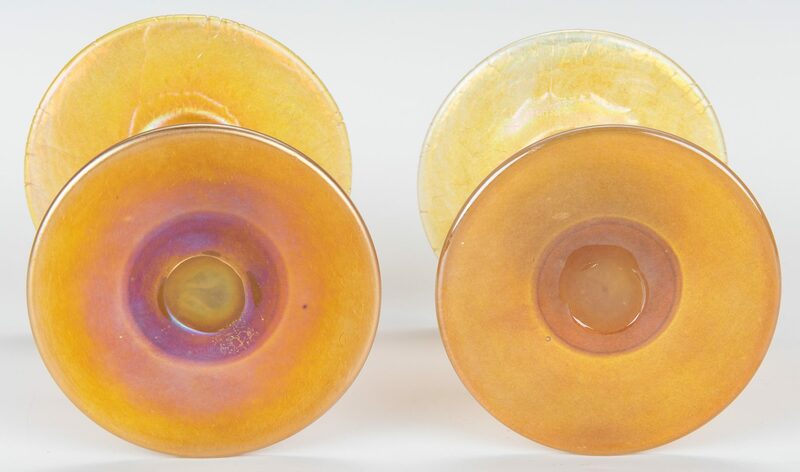 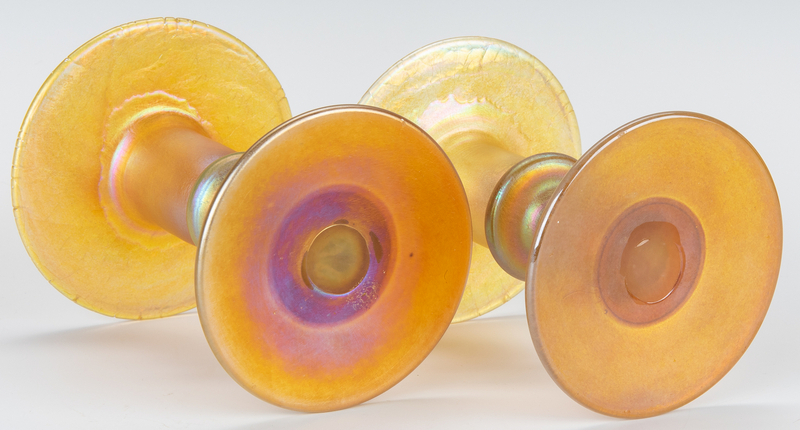 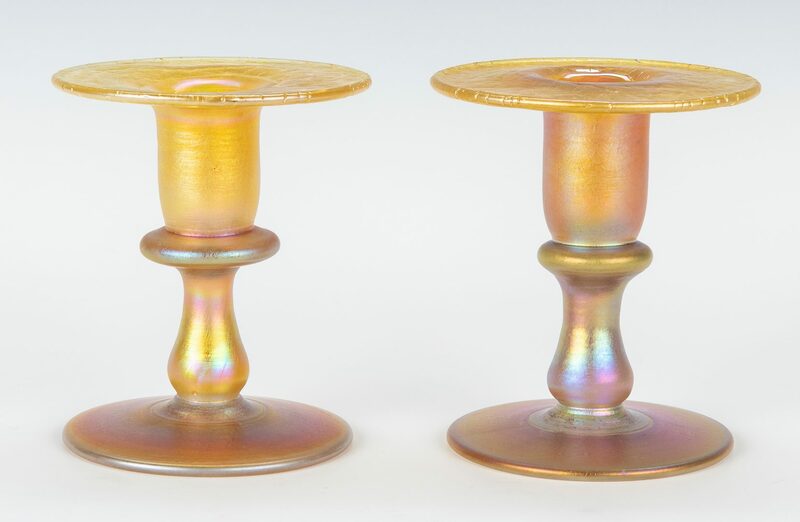 A pair of iridescent gold art glass candlesticks, low form with pedestal base and round flared candle cup rims with crackle glaze, unmarked. 4 5/8" H. 20th century. Provenance: the estate of Marshall Lovell, Nashville, Tennessee. 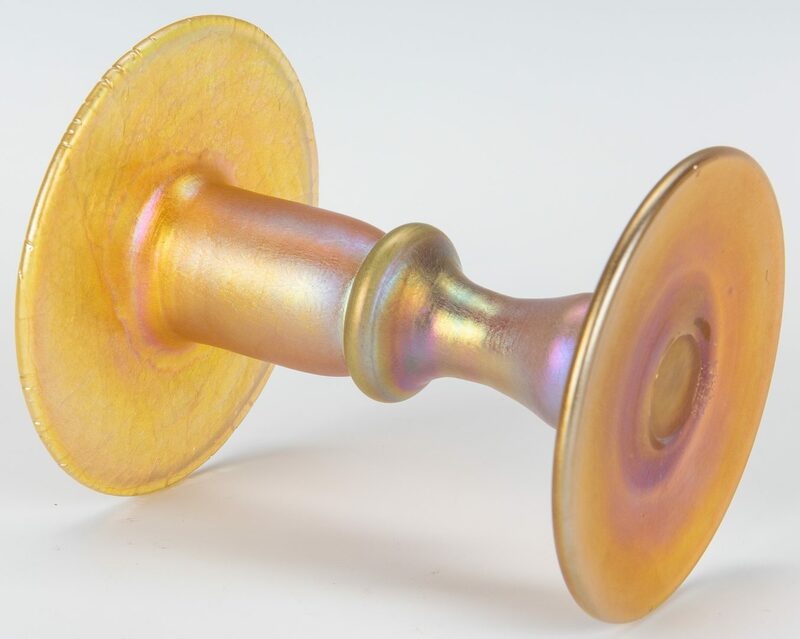 CONDITION: Both overall very good conditon.